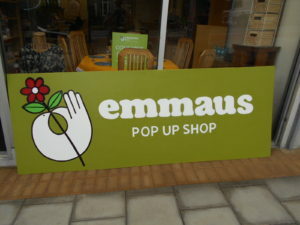 We like to make do and re-use here at Emmaus Bristol, so taking advantage of un-used commercial premises to set up a temporary shop is a great opportunity for us. Our latest venture is on Brislington Hill, and has already generated a lot of local interest. 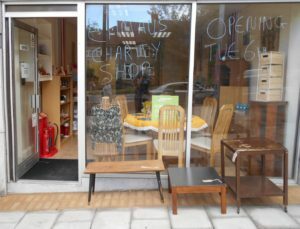 Selling our usual range of preloved household goods and clothing, plus a few special things we’ve been setting aside for this project, our new shop will be open for a limited time only so pop by while you still can. Come and visit us: 33 Brislington Hill, open 10am – 5pm, Tuesdays – Saturdays. Did you know we had two other shops as well as an eBay store?